The grand entrance hall invites you into a flagship building in the heart of the city, Liverpool's Town Hall and makes a grand setting for any occasion. 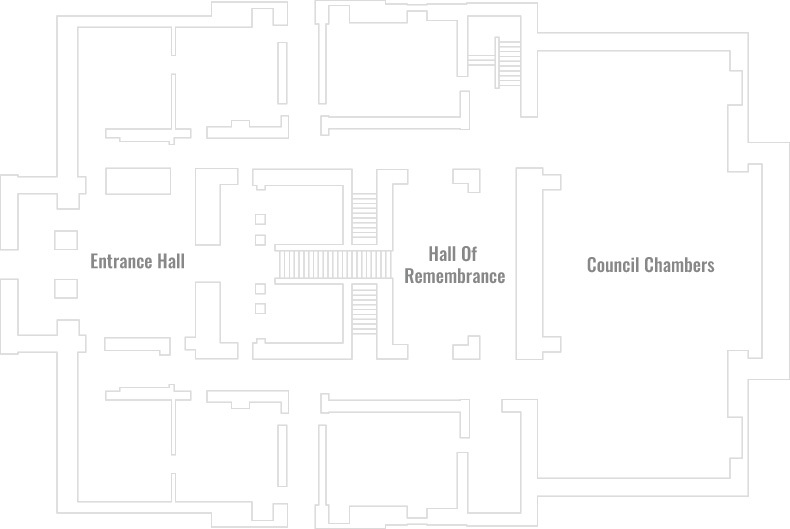 The Hall of Remembrance was opened by the Duke of Windsor, then Prince of Wales, in 1921 and contains the City's Roll of Honour. The Roll of Honour carries the names of over 13,000 military men from Liverpool who died during the First World War. This list of war dead began to be compiled during the war when names of the fallen were posted in a window overlooking Exchange Flags and relatives queued to add names. Because of this, the list is far from complete, but a number of names have been added since 1921, on additional panels. 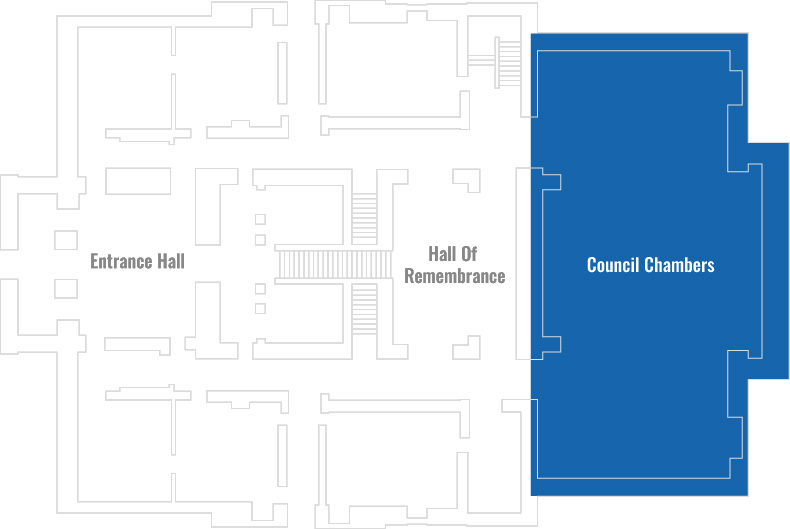 One of the most important rooms is the Council Chamber. 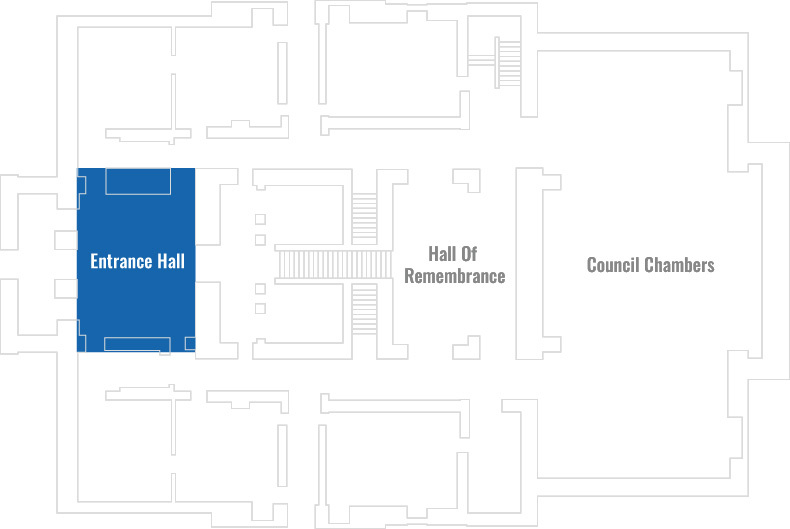 An impressive room built for the conduct of civic business the chamber features outstanding oak and mahogany woodwork. The Councillors' benches can seat 160 people, but today the council has 90 members who meet approximately every seven weeks to discuss the City's affairs. 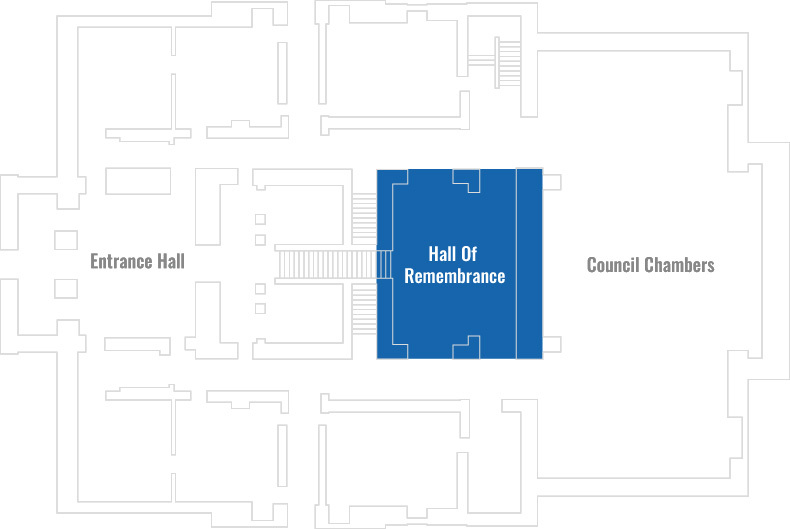 At the front of the Chamber is a raised Dais where the Lord Mayor presides, flanked by the Deputy Lord Mayor and the Chief Executive of the City Council. Below the dais is a bench for the press and below the windows on either side are the public galleries. Today the Council Chamber can also be hired for civil ceremonies and is an exceptional backdrop for AGMs and conference plenary sessions.